It was definitely one of the most strange cosmetics I tried last year but also one of the best. The skin was extremely smooth and hydrated after it, and I really saw a significant improvement in condition. I didn't think that my skin would like the slug mucus so much because it was the first cosmetic like this I ever try. I will definitely come back to this essence because is great! This cosmetic saved my life few times on last year. It worked great for bites or in the summer when I had skin burned by the sun, as soon as I had a skin problem it brought me relief and successfully fight with the problem. I experimented with many face gels but undoubtedly this one working the best for me. Whenever I return to Bioliq the condition of my skin improves immediately. With this balm I had love from the first use. Sensationally smells, moisturizes and is affordable. Was quickly became my skin care must have and I will definitely buy it again. My body is now really soft, smooth and moisturized. On this year, I would like to try more products of this brand, I hope they will be just as wonderful. A really good mild peeling. My skin is very sensitive, so the strongly products are not for me but I still need something effective because especially in autumn and winter my skin gets very dry. This peeling gives me both these things, removes all dead skin and doesn't irritate. If you have similar skin to my and you are looking for a good peeling, this cellulose one from Dr G is great. What a pity that I finished the packaging because unfortunately is very expensive cosmetic. Helped me to get rid of any lumps, etc. thanks to which the skin was much smoother and the texture even. I am looking for a cheaper dupe all the time but I haven't been able to find so far, so I am forced to buy the next packaging. I really liked this cosmetic on last year. Cheap, efficient and mega effective acid treatment. Certainly is not a product suitable for everyone, but if you have experience with acids is worth to give it a chance. 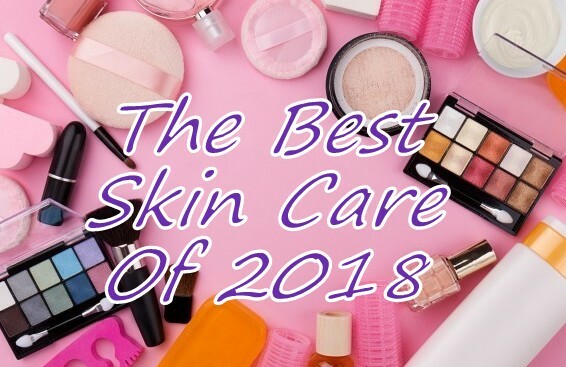 This is the all skin care favorites that I have discovered or returned to in 2018. I hope that this year will bring me great cosmetics and not so many disappointments. Świetnie, że przypadły Ci do gustu:* Również pozdrawiam!